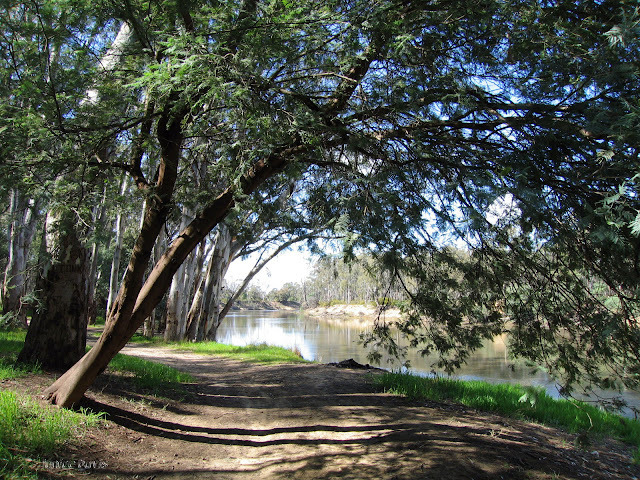 I was saying in my last post how photos of the Murray River at Echuca were hard to acquire, but several years ago things were different in Echuca so hence these two photos from back then. The first is the Murray River, the second a bit of bush behind the Caravan Park we stayed in - remember we went for a walk. I knew you loved trees. Looks gorgeous. I can only fantasize about the bird life there! :) Plenty of birds about at the right time. So beautiful. I always choose these sort of paths for my walks. That's a good idea especially if you have them in your area to walk on. Nature at it's best that day. Peaceful and lovely. Thank you. Calm photos are usually nice to see because they can calm us..
Un paseo por esos caminos, es como vivir un bello sueño. Very nice view and rather pleasant to ones eyes. These scenes were taken when we stayed at another caravan park. I recall it was a beautiful day to walk along that path. Your photos remind me I'm missing Aussie walks and fresh air. We had a lovely family holiday in Echuca about 16 years ago and whilst there we got the call that we would need to return to Europe for my husband's work, and I remember looking around at the beauty and thinking I'm so going to miss Australia! 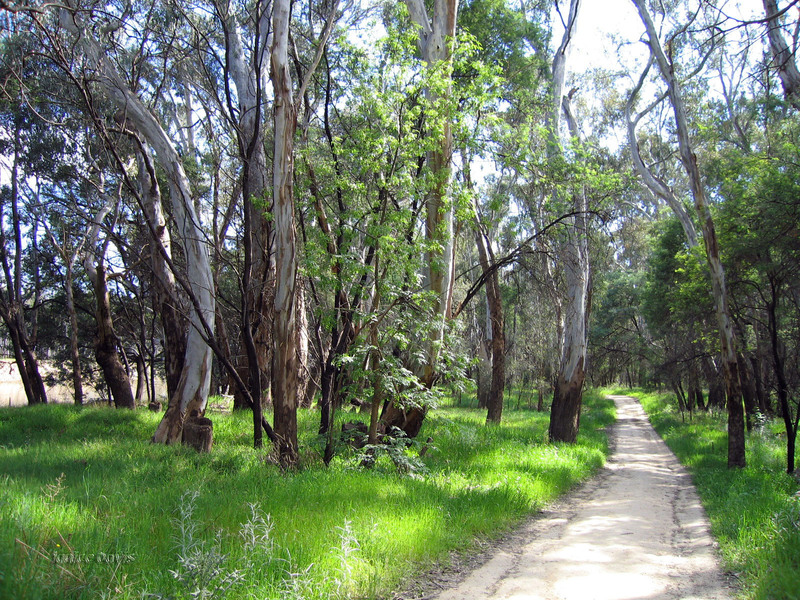 Pretty area is Echuca, then many places are. Let's hope you return for a holiday soon.. It is - and a nice walk along the river was good too. Loved the glimpse of river murray! Was just a glimpse Baili..
Un lugar bello y encantador. Fabulous forest walk, I love it.